The appearance of a black head mask or cap makes the Azorean subspecies of the widespread Yellow-legged Gull (Larus michahellis atlantis) interesting. 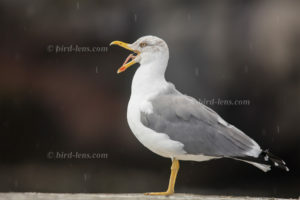 Although in the Azores several species of gulls of holartic origin might show-up, the best bet throughout the archipelago is always a Yellow-legged Gull. About the size – a bit smaller – of other gulls of the genus Larus like the Herring Gull (Larus argentatus), the identification of a Yellow-legged Gull of the subspecies atlantis is quite straight-forward, at least if you are looking for adult birds. The general tone of the plumage of the back and wings is grey. The wing tip is black with white spots. The throat, chest and abdomen white is white with a variable extent of black streaking on the head (the cap!). The beak is strong and yellow with a red spot almost on the tip. The legs are yellow – sometimes shining bright yellow. The eyes are white with a red orbital ring, which is even identifiable on some distance. These gulls nestle throughout the Azores in good numbers throughout the year. Look for them on the water-filled volcanic caldeiras as well. From time to time they like to swim and bathe in the sweet water of these lagoas. Most of the population is sedentary and even young birds disperse relatively short distances. Some individuals can make wider dispersive movements and ringed birds on islands of the Atlantic were observed in the first two years of life in the United Kingdom, northern France, southern Spain and Morocco. In order to satisfy the growing demand for top shots of the rarer species of Western Palearctic, Bird-lens.com has undertaken dedicated trips to nearby and distant bird areas. This is to be able to do anything to provide excellent images of the birds of the Western Palearctic. Sometimes the yield of images is enriched by bird species, which are very unlikely to show-up in the Western Palearctic. 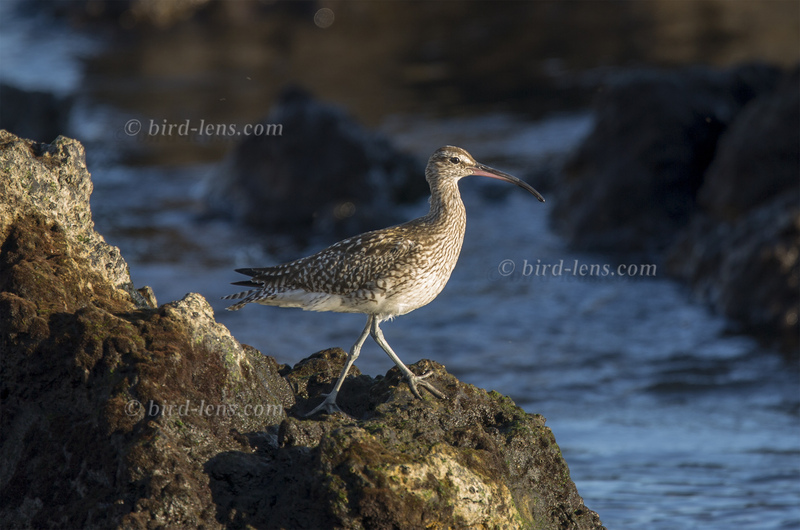 The results in images even of rare Western Palearctic birds are very good. The beautiful image of the blog is only a first impression of what you will find in behind “Picture Shop” very soon. Simply contact bird-lens.com if you need an image of a bird before the newest images are online.